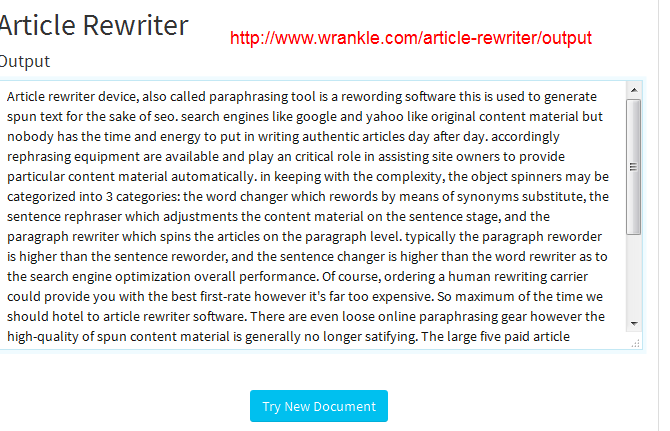 Paid article rewriters are usually expensive. 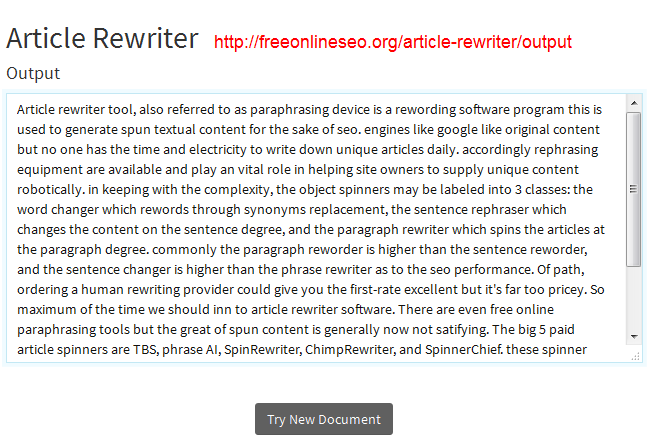 We select a few of top free article rewriters here. 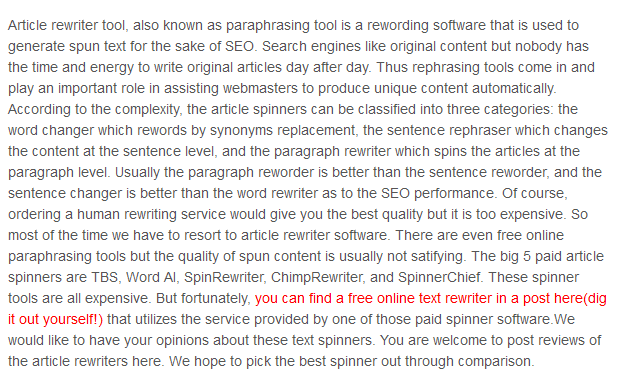 As to the quality of these text spinners, some may perform better than others. 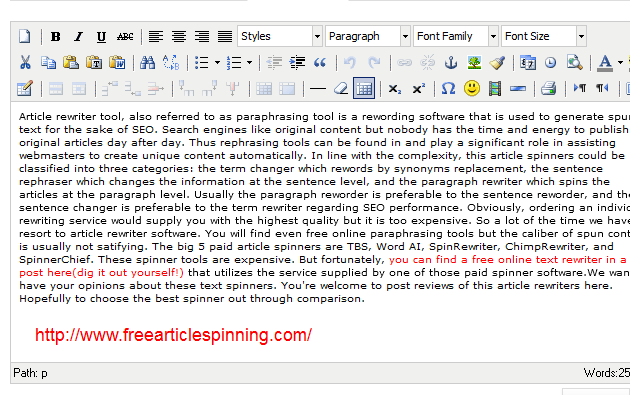 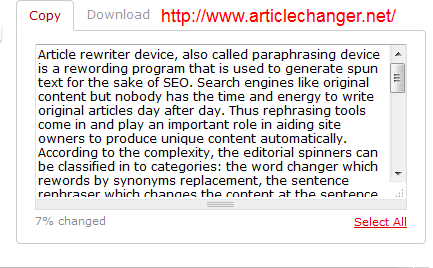 We compare the quality of the article spinners by feeding them the same text, then listing their output. 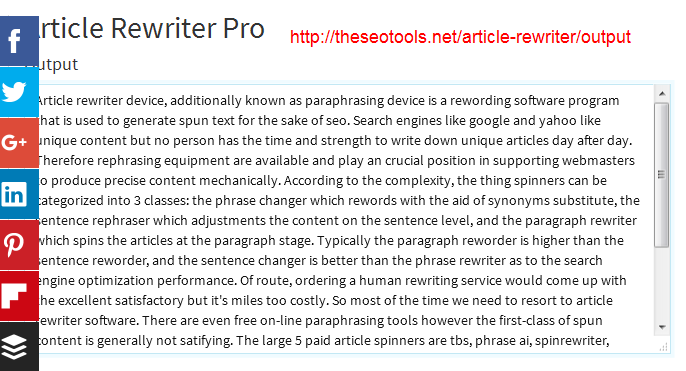 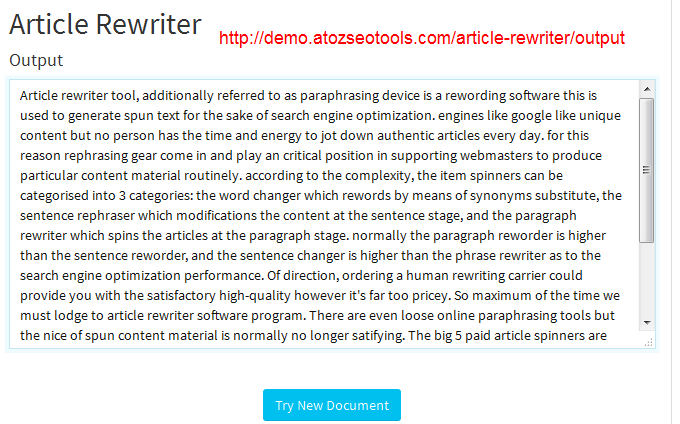 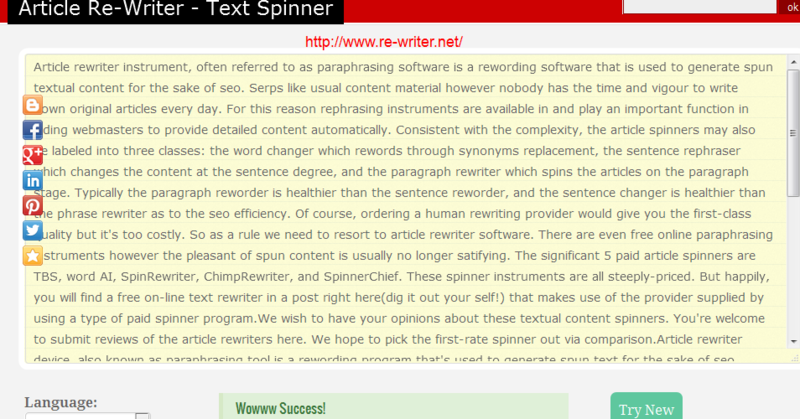 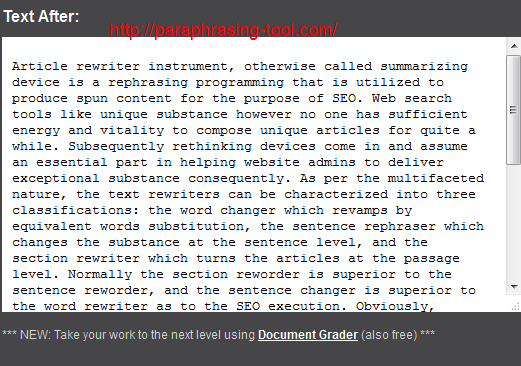 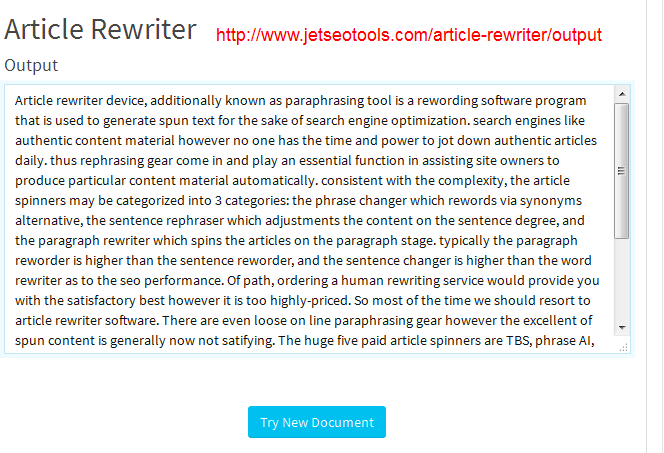 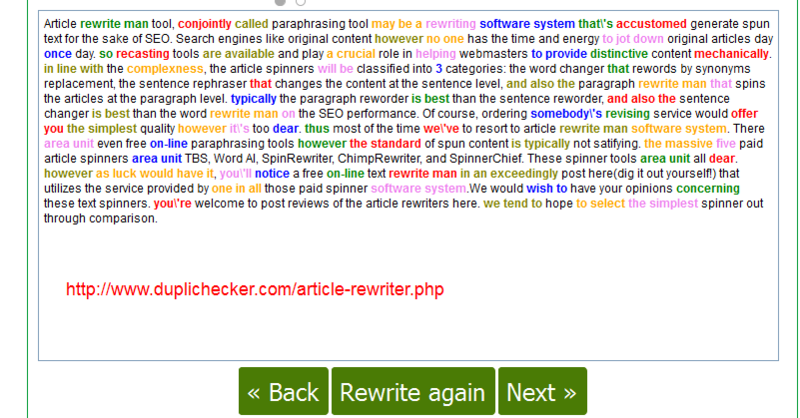 You can judge which text rewriter tool is the best by yourself. 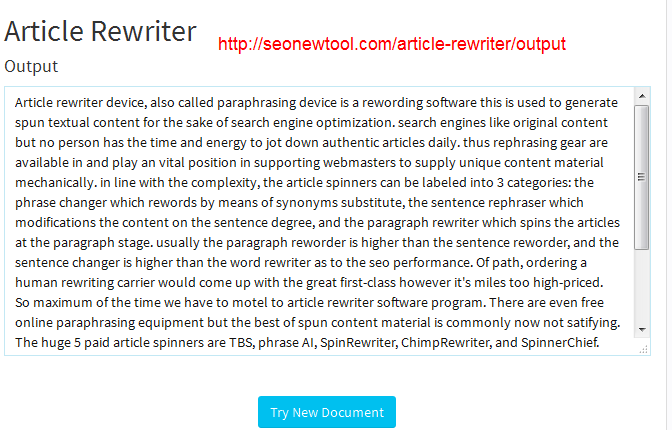 Note that some of these rephrasing tools provide output in spun syntax, which you can use in seo tools such as GSA search engine ranker. 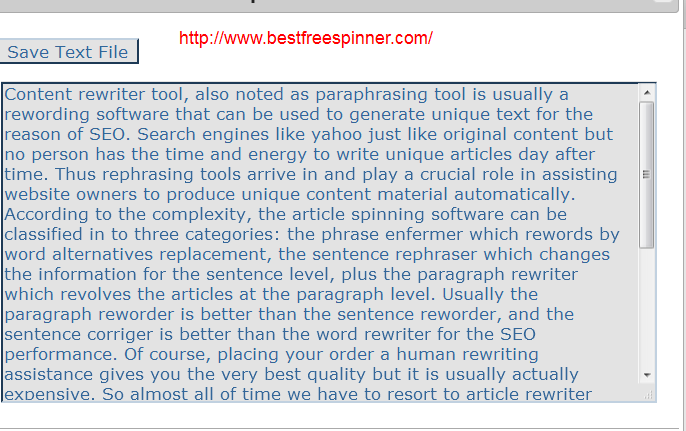 Other tools only provide the reworded text. 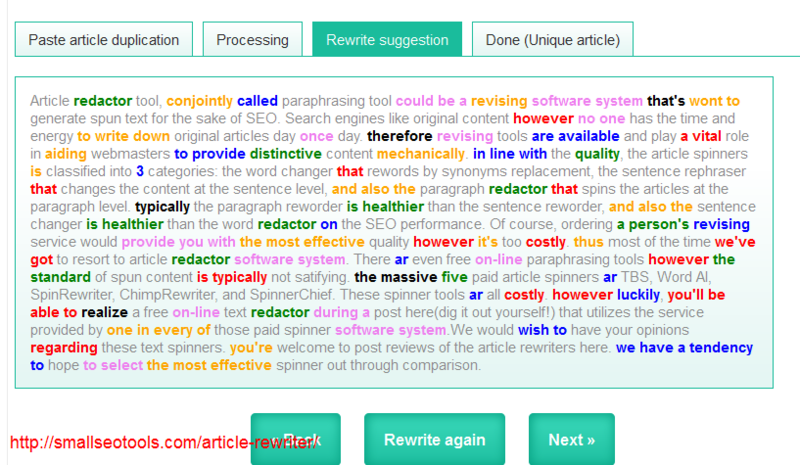 The following are the output of various rewriter tools.